61*. Niiiiiiice. Warm enough to break a sweat. Just right. Yes, this is my Q. Not Choker, but mine. 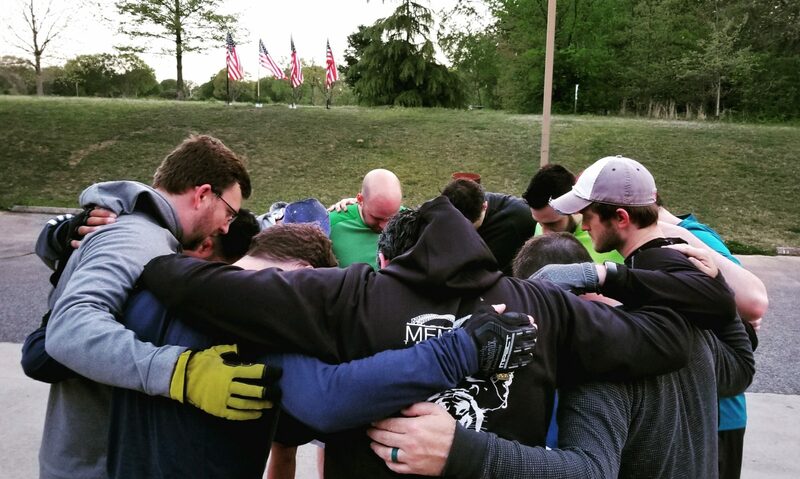 And F3 exists to do burpees AND encourage male community leadership. Our first order of business was celebrating our AOQ, Captain Obvious, for his leadership. Since he gave my Q to Choker on Monday, I prematurely leaked his announcement to handoff AOQ duties to Halpert. In his honor, we moseyed a lap to “We Are the Champions” by Queen, since the only time he lost the King of the Bluff was the high coup of F3 Neverland, which was quite historical, actually. After that we did WoR in rhythm, and cadence, to the tune of “Baba O’Reilly” by The Who. Backseat fartsacked but would have appreciated this. You missed out, Backseat! YHC has been patiently waiting for the right time to cover my greatest hits of F3. I’ve had a few calling card songs in my Q’s but never felt like I could justify covering all of them in succession back-to-back. Seeing this was BEAST WEEK at The Levee, it was the perfect opportunity to cover my Greatest Hits and add in few new songs. “Tub Thumping” by Chumbawumba – Burpees executed every time they sing “I get knocked down” with SSH’s in between. Everybody knew this was coming. “Flower” by Moby – Squats up/down when they sing “up” and “down”. Captain O knew this was coming. Billy Blanks whined about this, and a lot of things, but what else is new? Cobains, Blanks. “Lovely Day” by Bill Withers – Gus Q’ed this two weeks ago with planks and Merkins, but I audibled to Flutter kicks during the verses and Merkins every time they sing “Lovely Day”. This gets quite challenging. Billy Blanks was still complaining about everything…. “Shout” by The Isley Brothers – Jump squat every time they sing “shout” for the first half of the song. After the bridge we switched to jump lunges. Escobar didn’t like this song, or the exercises…..
“Bodies” by Drowning Pool – Plank while waiting. Donkey kicks when they scream “Let the bodies hit the floor” and a Merkin when they count “1, 2, 3, 4”. We seemed to conclude this was not appropriate for Holy Week. Personally I think Drowning Pool band members are all mad at their fathers. “Tub Thumping” by Chumbawumba – This was our second time around. I think the PAX may have thought I liked other music besides these songs. I also think the PAX started to regret posting with me around this point. I do, in fact, like other music. Just not this morning. Dealer’s choice: Captain O chose Freddie Mercuries while I queued up “Bicycle Race” by Queen and then Escobar chose Jane Fondas, like he always does….and I cut him off at 6:15. F3 is about doing hard things, beginning with the workout but all throughout the day. Hebrews 3:12-14 says, “Take care, brothers, lest there be in any of you an evil, unbelieving heart, leading you to fall away from the living God. But exhort one another every day, as long as it is called “today,” that none of you may be hardened by the deceitfulness of sin. For we have come to share in Christ, if indeed we hold our original confidence firm to the end.” We all need this encouragement. We all have some evil in us….if you’re anything like me, a child waking you up when you’re not ready results in immediate, unchecked rage. We are all tempted towards things that bring us down, which is why we need to encourage one another towards right living. We all know men who have fallen into the “deceitfulness of sin” who have trucked their lives. We need to exhort one another. The “original confidence” we should have in God is much like our wedding day….we should strive to feel about the Lord (and our wives) with the same excitement we felt for our wives when we first got married. The PAX endured my music and my Q today with grace. Billy Blanks, as always, brought chatter and enthusiasm. Congrats and TCLAPS to Captain Obvious for his leadership at The Levee!